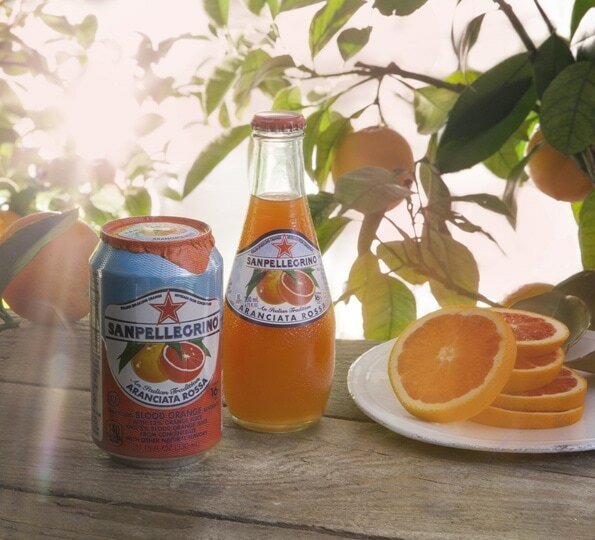 Sanpellegrino® Aranciata Rossa is made from oranges and blood oranges from Italy that get their unique color and taste from the conditions of the land in which they are grown. 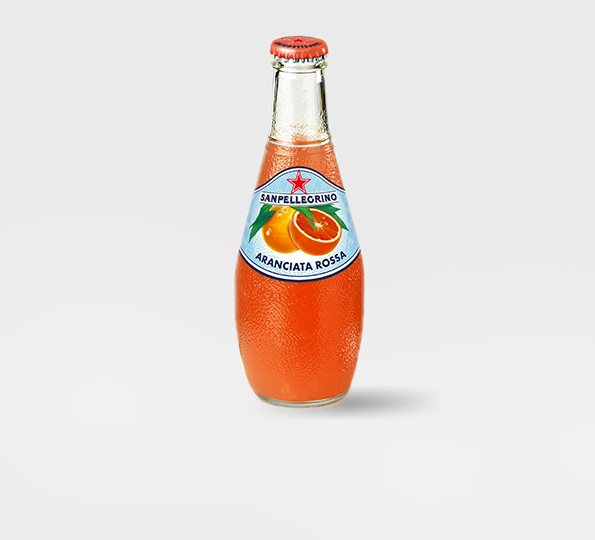 Characterized by its red-orange color, Aranciata Rossa has a delicate scent that fills your nose with notes of ripe oranges. 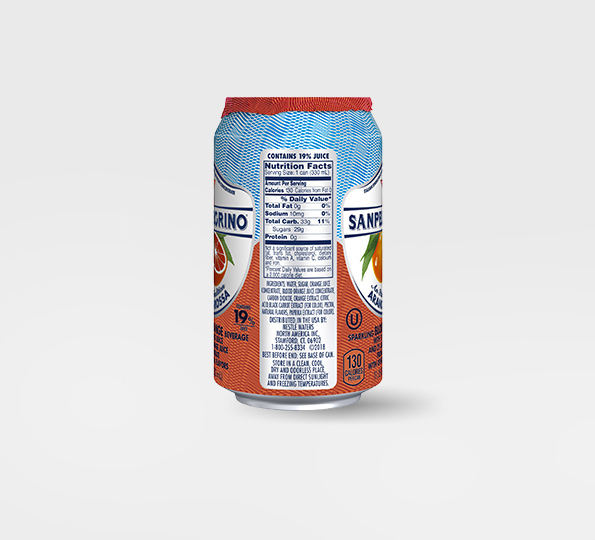 Lightly carbonated for that refreshing full-mouth sensation, it starts off on a sweet note and ends with the invigorating taste of juicy oranges. 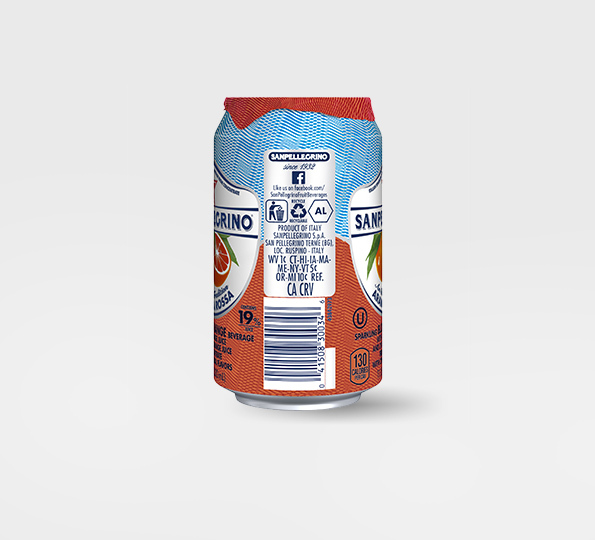 Full bodied, and simple, yet delicious, Aranciata Rossa is a drink that will please any demanding taste bud. Try it with zesty food such as friselle or even a scacciata Siciliana. 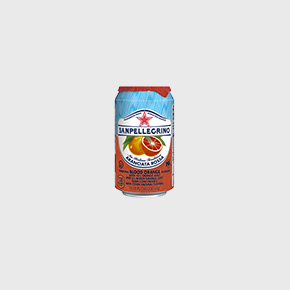 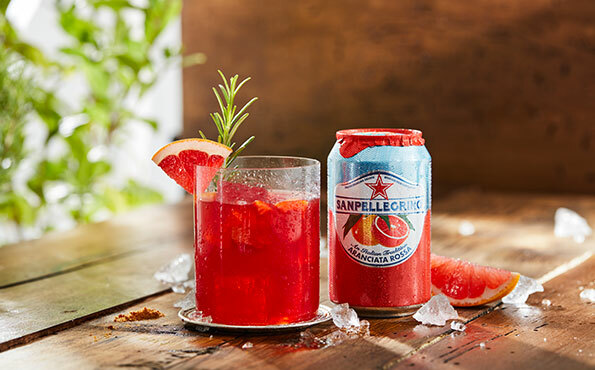 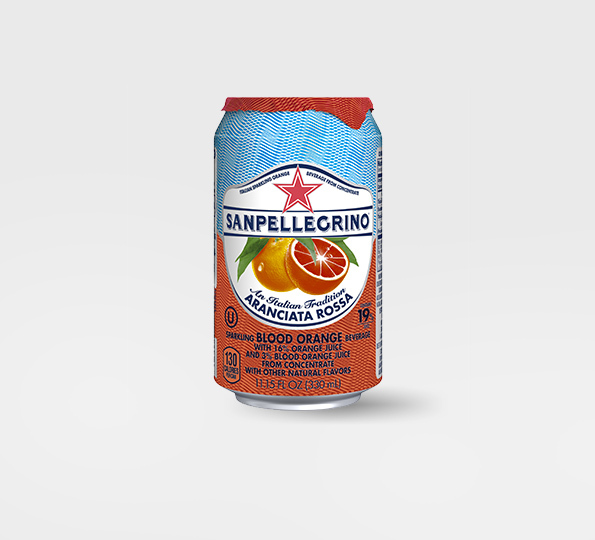 Sanpellegrino Aranciata Rossa is best served chilled at 35-40° F.
Water, Sugar, Orange Juice Concentrate, Blood Orange Juice Concentrate, Carbon Dioxide, Orange Extract, Citric Acid, Black Carrot Extract (for color), Pectin, Natural Flavors, Paprika Extract (for color).